WATCH A SHORT VIDEO OF BCTF 2018! Thinking about visiting BCTF 2019 as a buyer? Thinking about being an exhibitor at BCTF 2019? Missed our recent Newsletters? Catch up here. If you are a buyer for a retail outlet you can attend. How much does it cost to attend BCTF? By pre-registering entry is F.O.C, registering on arrival costs £10. There is disabled access and toilet facilities for wheelchairs users at both BCTF Harrogate and BCTF London. “A useful and innovative shop window on UK talent. “Great venue, huge choice, many new faces. A superb show. I never miss it. More artists appeared to be au fait with their prices and wholsale without having to refer to sheets. ‘A fusion of haute couture and the beloved chien’. Hand-signed limited edition and original artwork by British artist Selina Cassidy. Selina is a British Artist and Masters graduate of Central St Martins. Her work is inspired by familiar objects and interiors which subtly suggest a human presence. A world where inanimate objects have a nascent life and animals anthropomorphise. Her paintings are held in private collections internationally including that of world famous band ‘Kings Of Leon’. She has been commissioned by The New York Times, The Illustrated Ape, American publication Meat Paper and British clothing brand Jigsaw. Her collection was recently featured in The World Of Interiors and in 2018 I was selected by Sky Arts Kate Bryan as one of 30 female artists to exhibit at The Other Art Fairs highlight London show. Find out more about Selina’s work by visiting her BCTF Online page. Cinda Clark Design is a Berkshire based design studio that creates bold, luxury scarves, homewares and gifts inspired by geometric shape, Art Deco colour and world travels. The brand was launched in 2017 by designer Lucinda Clark-Wright who after studying Textile Design at the Scottish School of Textiles and working within the industry for over 10 years saw a gap in the market for luxury British made textile pieces. Looking to create a brand that truly worked with British craftsman to make beautiful luxury gift items and building on Lucinda’s background in textiles. Striving to find the best materials and suppliers we can proudly say all products are made in the UK; working with established craftsmen each piece is created from high quality materials that will stand the test of time. See more of Lucinda’s work by visiting her BCTF Online page. For a number of years Gin has worked as a graphic designer, project manager and artist. Her ceramic practice has been established since her graduation in 2011. Ceramics, for her is an exciting and rewarding material, one with which she is forging a lasting relationship, enhanced by my firm grounding of mixed media and graphic experience. The inspiration for Gin’s new body of work stems from traditions of folklore and fairy stories and nursery rhymes. Since she can remember, she has been fascinated by stories and how they have endured the test of time, repeated by generations. Her hope is that her work in turn, will have the power to trigger associations, images and stories in the mind of the viewer. Find out more on Robbin’s BCTF Online page. What’s happening on our Twitter account. 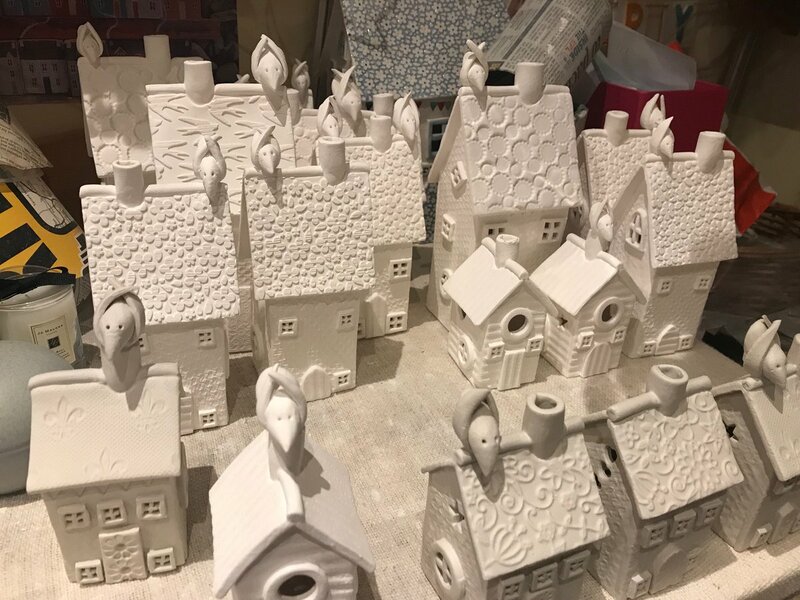 For 43 years the British Craft Trade Fair BCTF has been promoting and showcasing 500 designer-makers of handmade products from the British Isles. The fair is open to all independent retailers wishing to buy original and creative giftware. Some lovely photos of our winners from the Monday night awards, well done everybody!